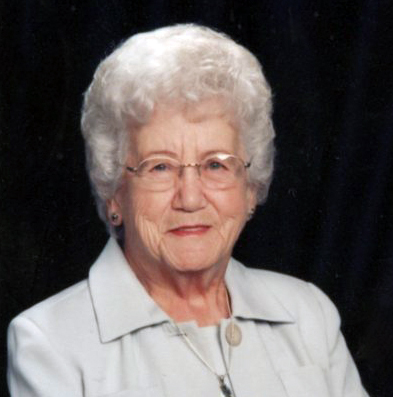 Obituary for Lena U. (Mc Michael) Mounsey | Langeland Family Funeral Homes, Inc.
Died Thursday morning November 29, 2018. Lena was born November 28, 1921 in Albion, Indiana a daughter of Joseph and Emma (Eagleson) McMichael. She had been a Kalamazoo area resident most of her life and was employed with Sutherland Paper Company for 31 years before retiring. Lena was also a member of Haven Church. She was preceded in death by her parents; her first husband, Carlin Skinner on December 18, 1980; her second husband, Glen Mounsey; a daughter, Judy in 1955; a sister; and 6 brothers. Lena is survived by 2 sons, Robert (Barbara) Skinner of Kalamazoo and James (Judith Ann) Skinner of Richland; 8 grandchildren; several great-grandchildren; 2 great-great-grandchildren; and several nieces and nephews. Services will be held 11 o'clock Friday, December 7th from the Langeland Family Funeral Homes, Portage Chapel, 411 E. Centre Ave. Visitation will be 2-4 and 6-8pm Thursday at the chapel. Private interment will be in Central Portage Cemetery. Memorials may be directed to Grace Hospice. Please visit Lena's personalized webpage for directions, online guestbook, or to leave a condolence. www.langelands.com.